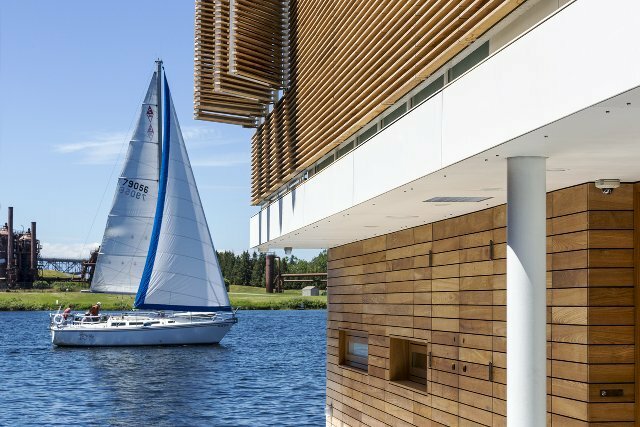 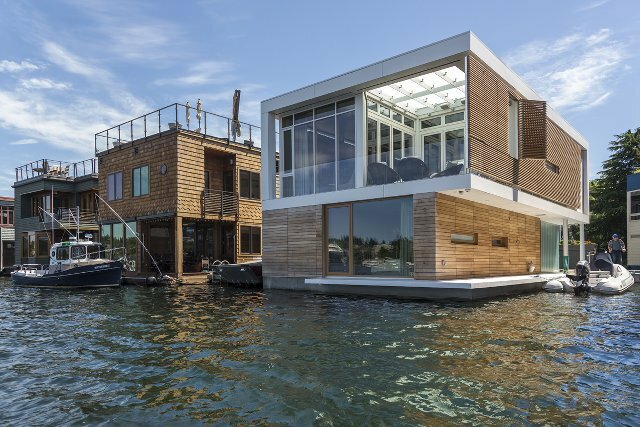 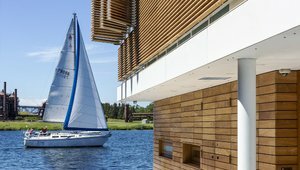 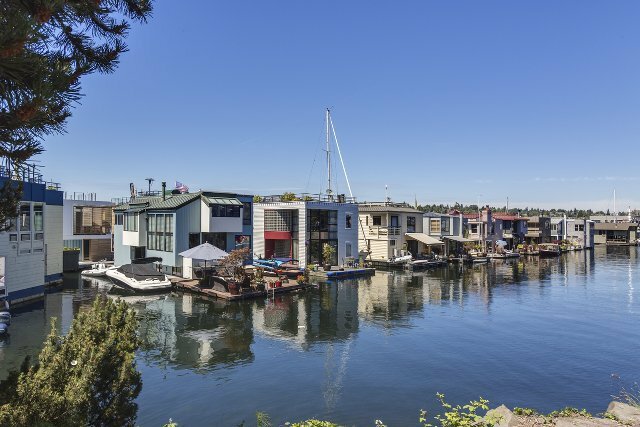 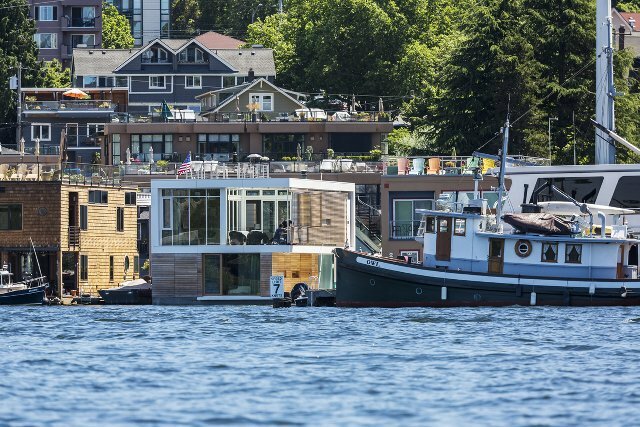 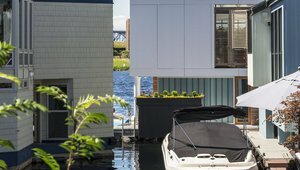 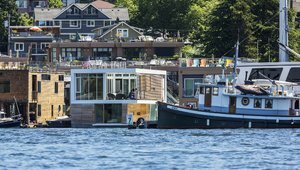 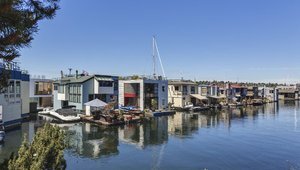 In Seattle, on the calm waters of Lake Union, Roanoke Reef is a luxury floating home community with a diverse, yet tight-knit group of residents who share a common bond of love for life on the water. 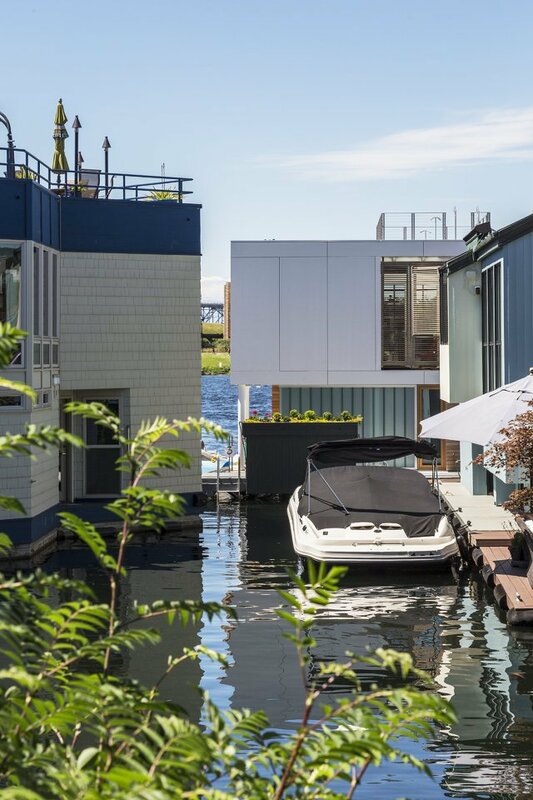 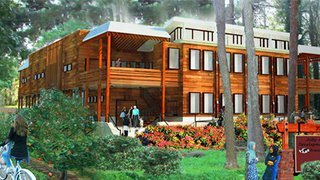 In one of the community’s most recent new home projects, architect Tim Carlander of Vandeventer + Carlander Architects envisioned a white, large format, but thin profile, exterior cladding material that could be adhered to its supporting substrate. 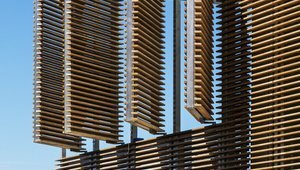 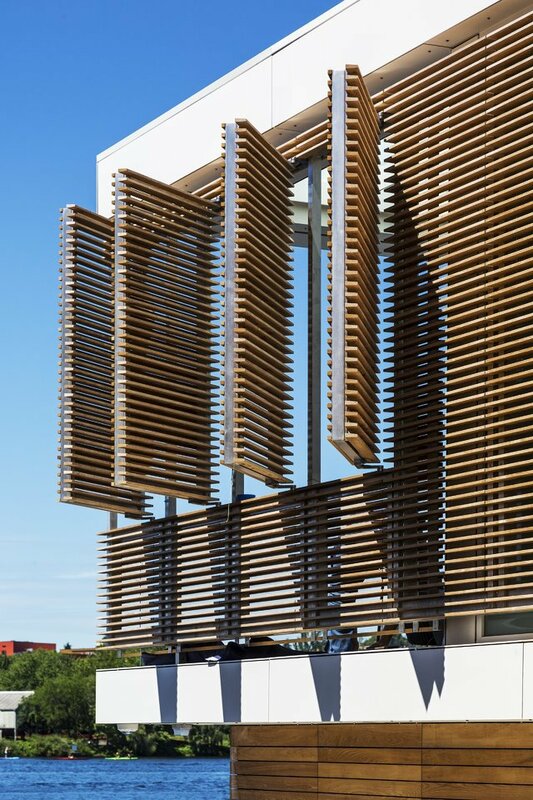 The cladding had to align with door and window frames and other elements of the building’s facade, so when it was determined that the original material under consideration could not be manufactured in the desired thickness, Carlander began to research alternative products. 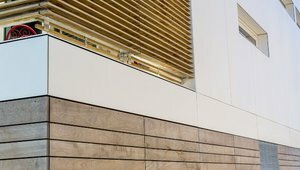 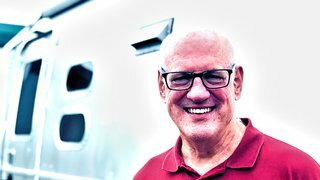 Having previously worked on countertop applications with sintered stone brand Neolith, manufactured by TheSize, Greg Totonelly of Touchstone Builders, Inc., the project’s general contractor, proposed six-millimeter Neolith panels as an alternative solution. 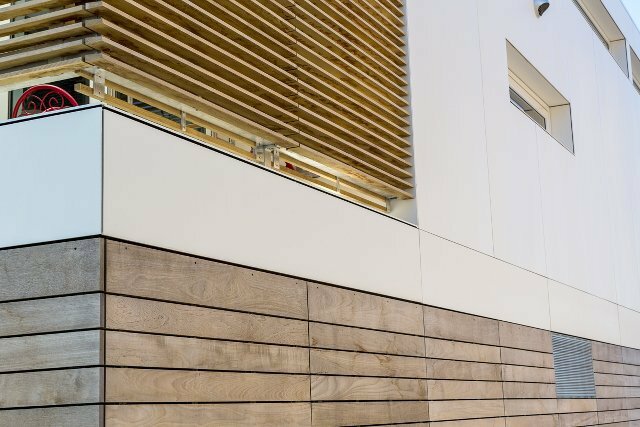 After extensive consultation with FM Distributing, TheSize’s Washington-based distributor, it was determined that the Neolith panels met all of the project’s architectural and code requirements with the added bonus of a near perfect color match. 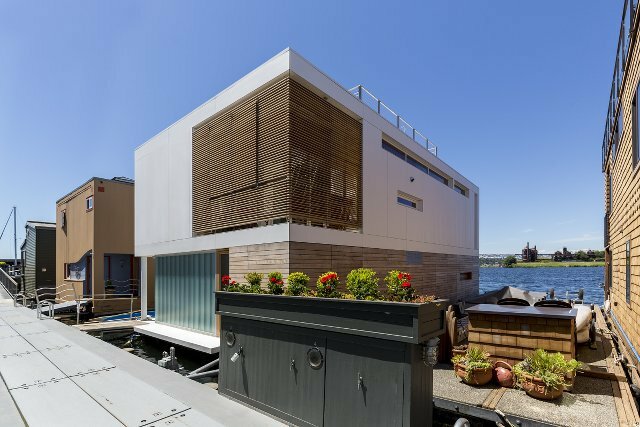 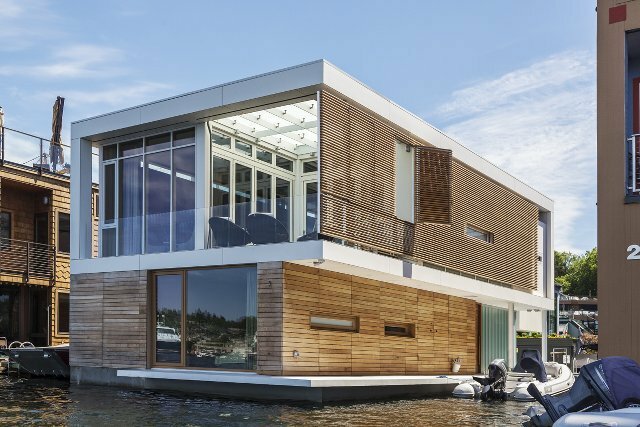 Expressed by horizontal bands and floor-to-ceiling windows and resting atop a structural concrete float, this luxury floating home utilizes Neolith’s ventilated façade system from the brand’s SKYLINE collection. 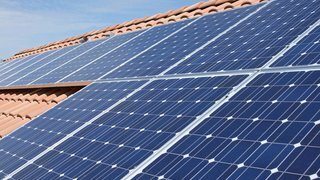 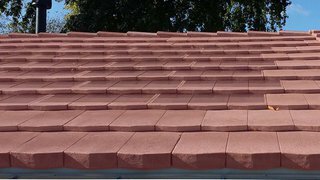 The SKYLINE façade system with its slim large format tiles offers superior physical and mechanical properties that will protect the home for years to come. 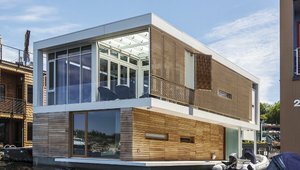 The Touchstone Builders team adhered more than 50 slabs of six-millimeter panels to an aluminum sub-framing system, which enabled alignment of the cladding system with the other elements of the façade system and thereby satisfying the original design intent. 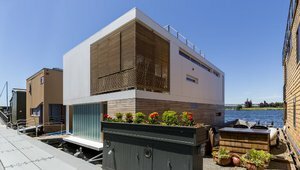 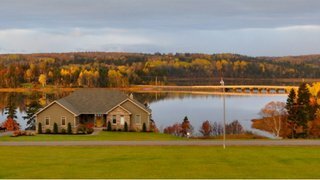 Cladding the upper floor walls and cantilevered floor soffits as well as exterior ceilings, the panels were installed with quarter-inch joints in the field and at all projecting elements resulting in the crisp and clean lines Carlander envisioned.